Arrive in Tbilisi – Georgia&apos;s ancient and vibrant capital city spreads out on both banks of the Mtkavi River, and is surrounded on three sides by mountains. The name Tbilisi derives from the Old Georgian word "Tbilisi", meaning warm. In Evening take a short walking orientation tour of Shardeni street famous for night life, A glass bridge also know as peace bridge lit up with many LED lights. Photo stop at the small sculpture of a man holding a horn, affectionately called as Tamada – the Toast master. 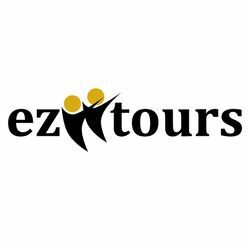 Today enjoy a full day city tour of Tbilisi. Visit Holy Trinity Cathedral, the highest one in Georgia and a holy one for all the Catholics of Georgia. Pass by Sioni Cathedral built in the 13th century and Erekle II street full of nice cafes and bars. Gaze at the fantastic 360 – degree views of this city from the cable car which will take you up to the Narikala fortress also called as the Mother Fortress of Tbilisi. Stroll down to the mosque, which not only features Islamic but also Gothic motifs. Today, enjoy a very scenic drive up through the High Caucasus Mountains along the Georgian military Highway, which is the major route linking Georgia with Russia. On the way visit Ananuri Fortress overlooking a reservoir on the Aragvi River. You may be able to catch a glimpse of one of the highest Glaciers in the Causasus – Mt Kazbegi (weather permitting). Drive back to Tbilisi and relax. This morning, enjoy a drive to Mtskheta, lying at the confluence of the Mtkvari and Aragvi rivers, the city was the place where Christianity was proclaimed as the official religion of Georgia in 337AD. Visit the churches of Jvari and the Samtavro and the cathedral of Svetitskhoveli, built on the grave of Sidonia, who died clutching Christ’s robe. Afterwards, return in Tbilisi and visit Tbilisi shopping mall – famous for world class brands and the best international shopping outlets for fashion, home appliances, electronics and jewelry. Board the flight to your home town. Tour concludes.